Danny Kay was a Hollywood superstar. He had been a star on Broadway before making it big in the movies. His performances in “The Court Jester”, “Hans Christian Andersen” and “The Secret Life of Walter Mitty” rocketed him into superstardom. He really was a brilliantly funny comedian, a good singer and dancer – in fact everything a Hollywood funny man should be. So it was quite a surprise when he came to Johannesburg to do his stage show. And like every other famous personality who ever visited the golden city, he came to Ciro’s night club where I was pianist/band leader. It was my belief that when a big star came into the club we should never make a big deal out of it. I always thought that he or she is there to relax out of the glare of the spotlight. This was an old jazz tune, composed by Jelly-Roll Morton (who, by the way, claimed he invented jazz, but was unknown outside his native New Orleans). Danny Kaye must have heard it somehow and his recording of it became a big hit. As I started to play it, he moved from behind me to front and centre on the stage and grabbing the microphone, to the delight of the audience, sang it and even did a crazy little dance while I played an instrumental chorus. After that we became friends – especially after I had persuaded a surgeon friend of mine to allow him to assist in an operation – something he had always wanted to do. He told me it was his life-long wish to be a surgeon, but his family was too poor to pay for any special schooling. As Ciro’s club closed on Sundays and of course, he was not on stage that night, Danny, myself and two other friends went to The Stork Club, the only club which stayed open on Sundays. Danny regaled us with a hundred tales about various incidents in his life – some sad, but, because he was a brilliant impersonator and a natural comedian, most of them hilariously funny. The Stork club had a pretty 20 year-old gal, in a figure-hugging dress who would wander around the club taking pictures of the guests, many of whom would pay good money for the photos. We were having a great time. Danny was doing a very funny impersonation of a German film producer and the ham-fisted way he tried to date Marlene Dietrich, when this sweet kid took a photo of him. Danny did not stop his very funny saga, as the camera flashed. He went on with it as he got out of his seat and went round the table to where the little camera gal was standing. What happened then occurred at lightning speed. He grabbed the girl’s camera and threw it hard down on the floor, smashing it in pieces. Then his left hand flashed out to grab her hair and with his other hand, thwack, thwack, he hit her hard round the face first with his open hand and then the back of it. Still holding her hair he then pushed the semi-dazed little chick down on to a chair. Taking his seat again, he explained in the frozen silence that followed, “She made a mistake” he said. “She thought she was taking a picture of Danny Kaye. She wasn’t. Because Danny Kaye exists only on the stage or in a movie. 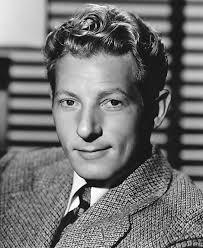 The moment he leaves the stage, Danny Kaye evaporates and becomes the guy he really is: Danny Kaminsky. That’s me folk. The tough kid from ‘Hell’s Kitchen’ in New York. And no-one takes pictures of Danny Kaminsky without first asking”. Turning to the girl photographer – who was now crying – he peeled off £100 (the equivalent of £1,000 today) which he gave her, saying, “If you want to take a shot of Danny Kaye come to the theatre tomorrow. Right now I am Danny Kaminsky and he don’t like people taking his photo”. The party broke up pretty quickly after that. In subsequent conversations with him, I found him to be a very complicated guy: deeply frustrated by having been too poor to follow his deeply-held wish to become a surgeon: a man who loved children and gave a lot of his time – and money – to helping them. But a rough, tough guy and someone unable to rid himself of the violence and the gang warfare he grew up with on the mean streets of ‘Hell’s Kitchen’ in New York City. So when you fall about laughing at Danny Kaye in say, ‘The Court Jester’, remember – you are watching a non-existent person: a figment of the imagination of tough, street-wise, but brilliantly talented Danny Kaminsky.